Have you been searching for a dentist in West Chester with a reputation for providing exceptional care? At West Chester Dental Smile Center, we live up to our name. With over years of experience in the West Chester, our dentist is a compassionate professional who offers the highest standard of personalized care and first-rate service. Providing a comprehensive range of services, including the latest treatment options in general, preventive, cosmetic, and restorative dentistry, our state-of-the-art facility is the one-stop solution for the oral care needs of the entire family. New patients are always welcome, and we look forward to getting to know you and your loved ones. At West Chester Dental Smile Center we take our responsibility to our patients seriously. Soon as you walk through our doors, you can expect to be warmly greeted by our friendly staff who will make you feel right at home. 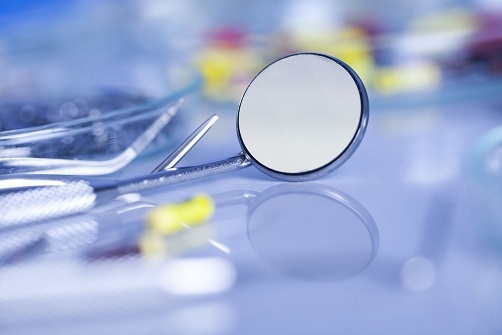 As a leading dentist in West Chester, we emphasize the importance of preventive care and encourage patients to visit us twice a year for a comprehensive exam and cleaning. If you are looking to improve the appearance of your smile, we offer a wide range of cosmetic options including tooth-colored fillings, professional teeth whitening, and dental veneers. For patients with missing or damaged teeth, we also offer the latest in restorative dentistry such as premium crowns, bridges, and dentures. Committed to safeguarding the smiles of our pediatric patients, we offer essential preventive care options such as dental sealants to shield the molars and pre-molars against decay and fluoride therapy to strengthen the developing enamel. At West Chester Dental Smile Center, we have established ourselves as a leading dentist in West Chester by providing our patients with the highest standard of care. For more information on any of our general, preventive, cosmetic, and restorative services, give us a call today. We look forward to hearing from you. This entry was posted in Dental Office, Dentist in West Chester and tagged 45069, Dental Office, Dentist in West Chester on April 23, 2019 by admin. Are you looking for a dentist that employs the latest technology and techniques? At the West Chester Dental Smile Center, we are committed to providing patients with high-quality care and world-class service. Whether you are due for a checkup and cleaning, require emergency care, or you are considering straightening your teeth with West Chester Invisalign®, we will help you develop a course of treatment personalized to address your unique oral care needs. New patients are always welcome to our state-of-the-art facility, your premier resource for the best in modern dentistry. If you have been considering straightening your teeth, you may be discouraged at the thought of having to wear conventional braces and wires. Traditional orthodontic treatment isn’t for everyone, especially image-conscious teens and adults. Luckily, advances in technology have yielded Invisalign. 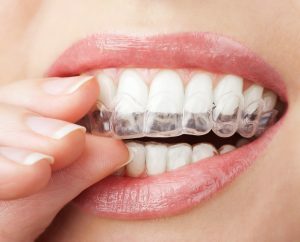 As the virtually invisible alternative to braces, West Chester Invisalign offers patients an unprecedented level of discretion at work, school, or wherever you can be seen smiling. After evaluating your smile, our dentist will work with the Invisalign laboratory to design a course of treatment that corrects malocclusions and uneven bites. Invisalign aligners are fabricated from BPA-free plastic and each aligner is worn for approximately two weeks as your teeth are moved into the correct positions. Since they are removable, you can eat, brush, and floss the same as before.With features such as these, it is easy to understand why Invisalign has become so popular! In fact, Invisalign has a 96% satisfaction rating among patients! 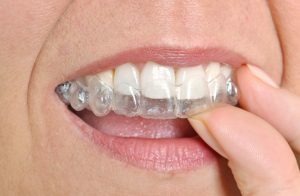 If you are considering West Chester Invisalign or any other treatment for your smile, pay a visit to the professionals at the West Chester Dental Smile Center. We have helped many patients achieve straighter teeth and we are confident we can do the same for you. For more information on any of our services and to schedule an appointment, give us a call today, we look forward to hearing from you! This entry was posted in Invisalign and tagged 45069, Braces, Cosmetic Dentist, Dental Exam, Dental Implants, Dental Office, Dentist, Dentistry, Invisalign, Orthodontics, West Chester on February 11, 2019 by admin. If you are not completely satisfied with the appearance of your smile, it is important to know that you are not alone. Each year, millions of people are turning to cosmetic dentistry to update their look and boost their confidence. At the West Chester Dental Smile Center, we provide our patients with the highest standard of care and offer access to the latest treatment options available today. Whether you are considering a professional whitening treatment, West Chester veneers, crowns, or the alignment of your smile with Invisalign® orthodontic treatment, our dentist and staff will develop a personalized smile makeover plan that delivers remarkable results of care. Extending a warm welcome to new patients, we look forward to getting to know you and your loved ones. When it comes to making great first impressions, a beautiful smile can make all the difference. If your teeth are stained, discolored, crooked, or chipped, you may benefit from the cosmetic services offered at our practice. Many of our patients seeking a smile makeover have opted for our West Chester veneers. 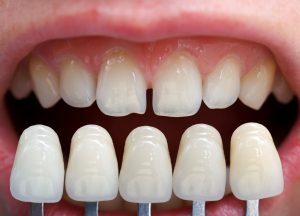 As customized, ultra-thin facings that are bonded over the lightly prepared surfaces of the teeth, veneers can conceal a range of dental imperfections to create the smile you’ve always wanted. Customizable in shade, shape, and color, dental veneers can transform a less than perfect smile into one that dazzles In just a few appointments, your new veneers can be fabricated and placed. If you are considering West Chester veneers or any other treatment to improve the look, health, and function of your smile, pay a visit to the professionals at the West Chester Dental Smile Center. For more information on our office and the many services that we provide, please call our office today. With flexible scheduling options available, we are confident we can help you find a convenient appointment time. This entry was posted in Veneers and tagged 45069, Clear Braces, Cosmetic Dentist, Dental Exam, Dental Implants, Dental Services, Dentist, Dentistry, Invisalign, Teeth Straightening, Teeth Whitening, Veneers, West Chester on January 11, 2019 by admin. Are you searching for an easy and effective way to enhance the appearance of your smile? If so, you may benefit from a one-on-one consultation with our experienced cosmetic dentist at the West Chester Dental Smile Center. Skillfully combining the art and science of dentistry, Dr. James Welland has helped many patients achieve their aesthetic goals and we are confident he can do the same for you. Whether you are considering a West Chester Township teeth whitening procedure, dental veneers, full coverage crowns or orthodontic treatment with Invisalign®1 aligners, our dentist will help you make the most well-informed decision regarding your course of treatment. New patients are always welcome to our state-of-the-art facility, where we take pride in sculpting more beautiful smiles. The truth is, it’s natural for our teeth lose their pearly white sheen over time. A number of factors can be responsible for the diminished vibrancy of your smile. Exposure to pigmented food and beverages, tobacco use, certain medications, and aging can all stain and dull your smile. Fortunately, thanks to advances in the field of cosmetic dentistry, it’s easier than ever to restore your smile to its former glory. For those of you who have considered whitening your teeth in the past, it’s likely you’ve run across the many teeth whitening options available in stores and online. Offered as whitening strips, gels, rinses, and pastes, some of these over-the-counter products fail to deliver the results they advertised and may even contain abrasive ingredients that are harmful to your smile. By far, the safest, fastest and most effective options in professional whitening treatments are those administered under the skilled supervision of your dentist. At our practice, we offer our two outstanding systems of care. You can have West Chester Township teeth whitening procedure performed as either an in-office treatment or provided with a convenient take-home kit. Our in-office procedure offers the quickest and most dramatic smile improvements. In just one appointment, you can walk out our doors with a smile that is up to 8 shades whiter and brighter. If you select our customized take-home kit, you can also achieve aesthetically pleasing results over the course of days. If you are considering a West Chester Township teeth whitening treatment or any other cosmetic procedure to enhance the appearance of your smile, consider paying a visit to Dr. James Welland at the West Chester Dental Smile Center. This entry was posted in Teeth Whitening and tagged 45069, Cosmetic Dentist, Dental Exam, Dental Implants, Dental Office, Dentist, Dentistry, Teeth Whitening, West Chester, White Teeth on December 13, 2018 by admin. Are you having trouble recalling when you had your last teeth cleaning in West Chester? If so, that may be a sign that it’s time to pay a visit to the professionals at West Chester Dental Smile Center. Our skilled dentist, Dr. James Welland is a consummate professional who is proficient in all aspects of care and will provide you and your loved ones with the highest standard of personalized treatment. Offering a comprehensive selection of general, preventive, cosmetic, and restorative services, we are confident we can address all your family’s dental needs. Whether you are due for simple checkup, require emergency care, or you are considering a cosmetic enhancement of your smile, we are well-equipped to address your needs. Extending a warm welcome to new patients and their families at our state-of-the-art facility, we look forward to becoming your trusted dental care provider. If your teeth and gums feel fine, it may seem easy enough to put off your biannual checkup and cleaning. However, there are many dental conditions that develop asymptomatically and preventive dental care can save you a lot of time, discomfort, and expense in the long run. By visiting us twice a year for a comprehensive exam, we can employ sophisticated diagnostic technology to detect a host of issues that may have otherwise gone unnoticed. Every checkup also consists of a thorough teeth cleaning in West Chester to ensure the hard to reach areas of your mouth are free of any accumulated plaque and tartar. As an added level of protection against to decay, we offer our pediatric patients essential treatments such as dental sealants to shield the molars and pre-molars against cavities and fluoride therapy to strengthen the enamel. If it has been awhile since your last teeth cleaning in West Chester, pay a visit to the professionals at the West Dental Smile Center. For more information and to schedule an appointment, give Dr. Welland a call today. This entry was posted in Teeth Cleaning and tagged 45069, Braces, Cosmetic Dentist, Dental Exam, Dental Implants, Dental Office, Dental Services, Dentist, Dentistry, Teeth Whitening, West Chester, White Teeth on October 11, 2018 by admin. If are suffering from missing teeth, do not worry. At the West Chester Dental Smile Center, we are experienced in addressing tooth loss and offer the most advanced replacement options available. Whether you are considering bridges, dentures, or dental implants, our West Chester best dentist will work with you to develop a treatment plan that meets your needs, comfort level, and budget. We have helped many patients reestablish healthy and complete smiles and we are confident we can do the same for you. New patients are always welcome to our state-of-the-art facility, where we provide the best that modern dentistry has to offer. Missing teeth can take a toll on your quality of life, leaving you with an impaired speaking and chewing ability. If not addressed promptly, it can lead to bone loss which can affect the appearance of your facial features. At West Chester Dental Smile Center, we combine reliability, knowledge, and a compassionate approach to care to help our patients choose a treatment option that is healthy and cosmetically appealing. Patients who have lost many or all their teeth along the upper and/or lower jaw may be candidates for complete dentures. Custom fabricated to fit your mouth; our West Chester best dentist only uses the highest grade dental materials to fabricate custom dentures to produce remarkably life-like results. If there are some healthy teeth remaining, you may a partial dentures may offer an effective option in care. Using clasps that attach to the remaining neighboring teeth, partial dentures can restore missing spaces in your smile for cosmetically appealing and functional results. At the West Chester Dental Smile Center, we have established ourselves as a leading West Chester best dentist by providing our patients with the highest standard of personalized care. For more information and to schedule an appointment, please call our office today. We look forward to hearing from you. This entry was posted in Dentist and tagged 45069, Cosmetic Dentist, Dental Exam, Dental Implants, Dental Office, Dental Services, Dentist, Dentistry, Invisalign, West Chester on September 11, 2018 by admin. Dental emergencies can come in different forms and they often occur without warning. Here at the West Chester Dental Smile Center, Dr. Welland and his staff are here to provide you with the gentle, precise, and compassionate care you deserve, when you need it the most. Having helped many patients restore their oral health, we are confident we can do the same for you. Offering a comprehensive range of services for the treatment of dental emergencies, include the treatment of toothaches, dental injuries, appliance repairs and extractions 45069, we are well-equipped to get you back on the road to oral health. Extending a warm welcome to new patients and their families, we look forward to becoming your trusted oral care provider. At the West Chester Dental Smile Center, we prioritize the needs of our patients first and foremost. A dental emergency can be a frightening experience, but it is not one you need to face alone when you have Dr. Welland and his compassionate staff by your side. Providing you with the highest degree of individualized attention, we employ sophisticated diagnostic technology and techniques to pinpoint the underlying source of your discomfort. In many cases, oral pain is the result of deep decay, a traumatic dental injury or the problems associated with an impacted tooth. While you can trust that we will do everything possible to save a restorable and essential tooth, in certain circumstances, an extraction may be recommended to maintain oral health and overall well being. As a skilled and experienced dentist, we keep patients comfortable and well informed throughout every procedure, including extractions 45069. If the extracted tooth is a permanent tooth that requires a replacement, Dr. Welland will go through all the options in care from dental implants to dental bridges as well as dentures. 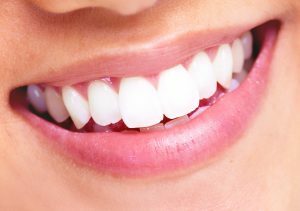 While our goal is to maintain your smile, extractions 45069 are sometimes required to ensure your overall oral health. For more information and to schedule an appointment, give us a call today. This entry was posted in Extractions and tagged 45069, Cosmetic Dentistry, Dental Emergency, Dental Extractions, Dental Office, Dental Services, Dentist, Dentistry, Extractions, Invisalign, West Chester on August 10, 2018 by admin. Where can I get 45069 Orthodontics? Have you been considering 45069 orthodontics to correct poorly aligned teeth? If so, you may benefit from a one-on-one consultation with our leading dentist to discuss your treatment options. At Westchester Dental Smile Center, we combine sophisticated technology and advanced techniques to provide our patients with the best that modern dentistry has to offer. Offering a comprehensive range of services, including the latest treatment options in general, preventive, cosmetic, and orthodontic care, we are the one-stop solution for the needs of the whole family. Whether you are due for your next checkup or you are considering Invisalign to straighten your smile, you can count on our team being well-prepared for your arrival. New patients are always welcome to our state-of-the-art facility, where we look forward to getting to know you and your family. Having a straight smile is more than just cosmetically appealing, it makes maintaining your oral health a lot easier. The crevices between poorly aligned teeth can serve as a safe haven for the accumulation of plaque and tartar, which can lead to the onset of dental decay and periodontal disease. At West Chester Dental Smile Center, we offer the best in modern 45069 orthodontics. Many of our patients have benefited from Invisalign, the state-of-the-art alternative to traditional braces. Invisalign comes as a successive series of BPA-free plastic aligners that are custom fabricated to fit your mouth at different stages of treatment. Great for patients looking to maintain a professional image, Invisalign is virtually invisible when worn it is removable for short periods of time, meaning you can brush and floss the same as before. If you are considering 45069 orthodontics or any other treatment for your smile, consider paying a visit to the professionals at West Chester Dental Smile Center. For more information and to schedule an appointment, please call our office today. This entry was posted in Orthodontics and tagged 45069, Braces, Cosmetic Dentist, Dental Exam, Dental Implants, Dental Office, Dentist, Dentistry, Orthodontics, Orthodontist, West Chester on June 11, 2018 by admin. Where can I get Teeth Whitening in West Chester? If you have been considering ways to renew the appearance of your smile, we encourage you to pay a visit to the Westchester Dental Smile Center. We have helped many patients sculpt more beautiful smiles and we are confident we can do the same for you. Whether you are considering tooth-colored fillings, teeth whitening West Chester, or any other cosmetic treatment, our knowledgeable and attentive staff will work with you to develop a treatment plan that suits your needs, comfort level, and budget. With an established reputation for providing stunning results, you can be confident that your oral health is in capable hands. New patients are always welcome to our state-of-the-art facility, your resource for the best in modern dentistry. A gorgeous smile is one of the most striking physical features on an individual. It can inspire confidence and leave a lasting impression upon the people we meet. According to a recent study, close to one-third of people report feeling dissatisfied with the appearance of their smile. If this sounds like you, you may benefit from a consultation with a leading cosmetic dentist at the West Chester Dental Smile Center. Many patients have benefited from our teeth whitening West Chester treatment and we are certain you can too. 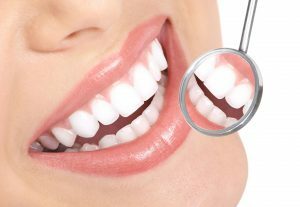 To accommodate the unique schedules and preferences of our patients, we offer our teeth whitening West Chester treatment in two convenient forms. Our in-office procedure only requires an hour to complete and can leave you with teeth that are up to 8 shades brighter. For patients who live a more on-the-go lifestyle, we offer a whitening system that can be worn day or night in the comfort of your home to achieve cosmetically pleasing results a bit more gradually. If you are considering teeth whitening West Chester or any other cosmetic treatment to enhance your smile, pay a visit to the professionals at West Chester Dental Smile Center for more information. This entry was posted in Teeth Whitening and tagged 45069, Cosmetic Dentist, Dental Exam, Dental Office, Dental Services, Dentist, Dentistry, Teeth Whitening, West Chester, White Teeth on May 11, 2018 by admin. 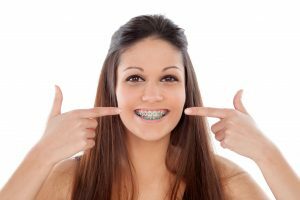 Where Can I Get West Chester Clear Braces? If you want to straighten your teeth, we encourage you to schedule an appointment at the West Chester Dental Smile Center to discuss your treatment options. Nowadays, advances in orthodontics have yielded an alternative to traditional metal braces. As a state-of-the-art dental care provider, we offer a sweeping array of services, including the latest services in general, preventive, cosmetic, and restorative dentistry. Whether you are considering West Chester clear braces, require emergency care, or you are looking into a cosmetic enhancement of your smile, you can be confident that our team is well-prepared for your arrival. We have helped many patients achieve their dental goals and we are certain we can do the same for you. New patients are always welcome to our modern dental center, where we look forward to getting to know you and your loved ones. At the West Chester Dental Smile Center, we offer our valued patients the highest standard of care and compassion. Providing the individualized attention that you deserve, our staff will address any questions or concerns you may have, so you can make well-informed decisions regarding your oral healthcare. When it comes to straightening teeth, our West Chester clear braces provide an ingenious and convenient solution. With Invisalign treatment the look and function of your smile can be improved with a prescribed series of virtually invisible, BPA-free plastic aligners. Wearing each aligner for approximately two weeks according to a carefully planned treatment schedule, your teeth are incrementally moved into the correct positions. Unlike traditional braces, Invisalign aligners are discreet, comfortable and removable for short periods of time, meaning you can still enjoy the foods you love and maintain your oral hygiene the same as before. With a 97% satisfaction rating, it is easy to see that many patients have found Invisalign to be effective in achieving a more attractive smile. If you are considering West Chester clear braces or any other treatment for your smile, please call the West Chester Dental Smile Center today. We look forward to hearing from you. This entry was posted in Invisalign and tagged 45069, Braces, Clear Braces, Cosmetic Dentist, Cosmetic Dentistry, Dental Office, Dental Services, Dentist, Dentistry, Invisalign, Orthodontics, Orthodontist, Smile Makeover, Straight Teeth, Teeth Straightening, West Chester on April 12, 2018 by admin.